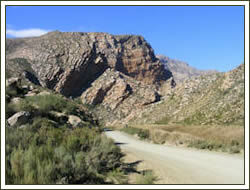 The road from Amalienstein penetrates the Klein Swartberg mountains through the Seweweekspoort, possibly one of the most spectacular of all the mountain ravines in the country. The magnificent vertical rockfolds, reflect the volcanic eruptions millions of years ago – forming the chain of Cape ripple-like mountains. During 1859 the authorities decided to build a pass through the Poort. The initial work was done by Italian Prisenors. Progress was slow and in 1860 AF de Smidt, the brother in law of Thomas Bain, renowned pass-builder, took charge of the operation. The road was completed in 1862. There are several stories explaining the origin of the name Seweweekspoort. The most common one is that of Reverend Zerwick that was a priest at the Missionary in Amalienstein. Other explanations: it took the authorities 7 weeks to catch a stock thief who fled into the mountains, or it took the brandy smugglers 7 weeks to return through the Poort from Beaufort West. The ruins of the original toll-house can be seen at the northern entrance of the Poort. The Aristata Protea was rediscovered in 1950’s after it was believed for quite some time that it had become extinct. The Poort is dominated on the western side by the Seweweekspoort Peak, that at 2325m being the highest mountain peak in the Western Cape. 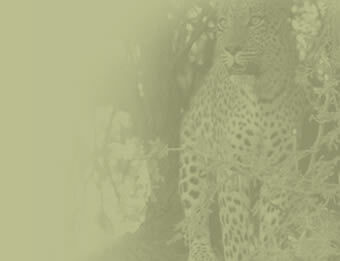 The Seweweekspoort is part of Cape Nature Conservation and it is a World Heritage Site.